Avil milk – Welcome to Creative Rajni! Avil milk is the Kerala milkshake and it is my favorite. Avil or flattened rice flakes are very popular in Kerala dishes. It can be used in sweet or savory dishes. Here, I have used it in a sweet preparation. 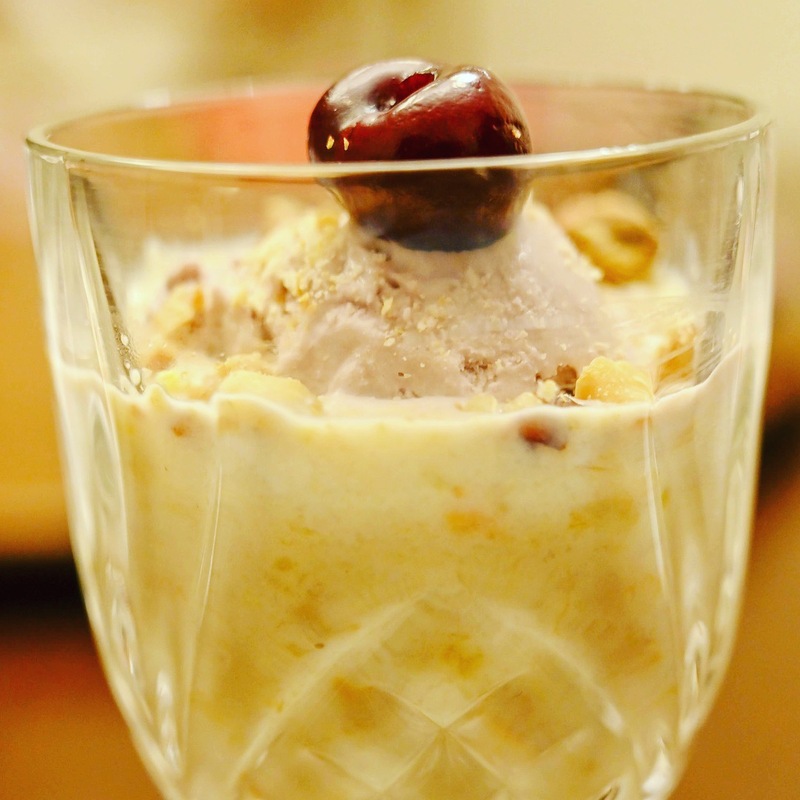 The sweetness of the ice-cream mixed with the various nuts is heavenly. 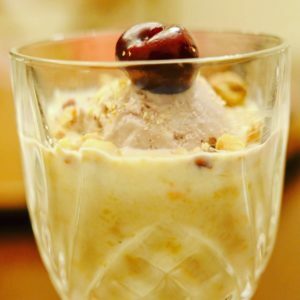 The fact I love about this milkshake is that there are a variety of textures in your mouth-the softness from the rice-flakes, the sweetness from the ice cream, the crunchiness from the toasted nuts and the fresh fruits. It’s a party in your mouth! 1. Heat a saucepan with milk and the flattened rice flakes. Bring it to a slow boil until the flakes are soft. 2. Take it off the heat and transfer to a bowl. Let it cool. 3. Now add in the mashed bananas and the dried chopped fruits and nuts & mix well. 4. Transfer this to a serving glass, top it off with ice-cream of your choice. 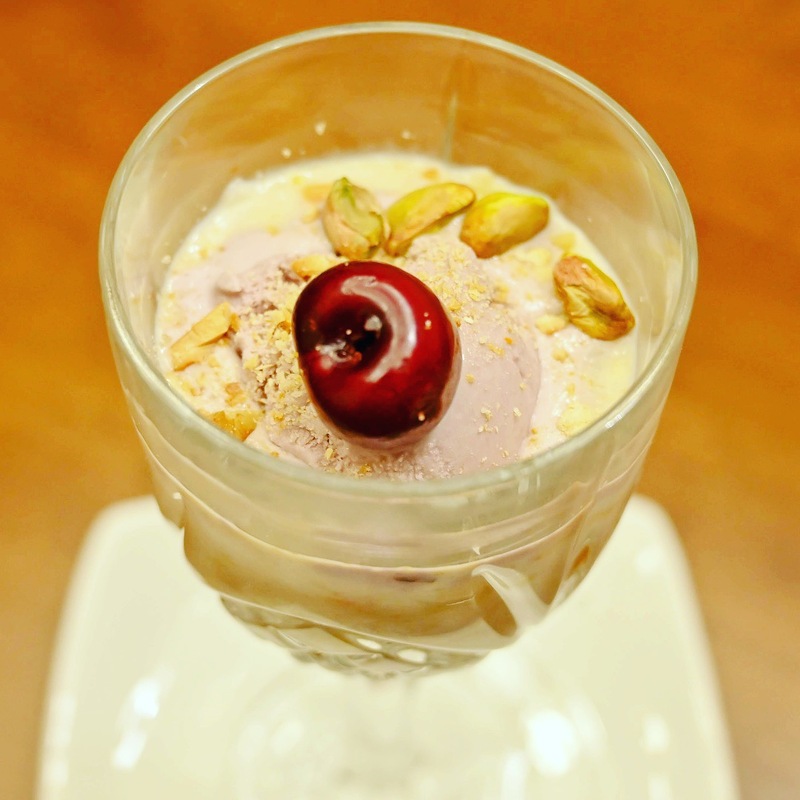 I have used black raspberry ice-cream here(my fav). Coffee ice cream goes very well with this as well. 5. Top if off with some roasted pistachios, sprinkle of almond meal and a cherry. Enjoy!